When it comes to gardening, there are so many factors that must be considered that it just might make your head spin! 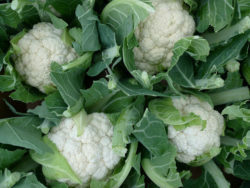 Which is the best soil for this vegetable? Am I using the right fertilizer? Have I waited long enough to plant? Did I not wait long enough? The list goes on and on! 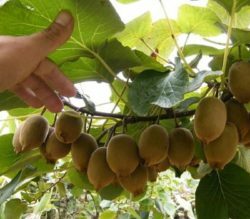 This might may things confusing, especially for a beginner gardener . 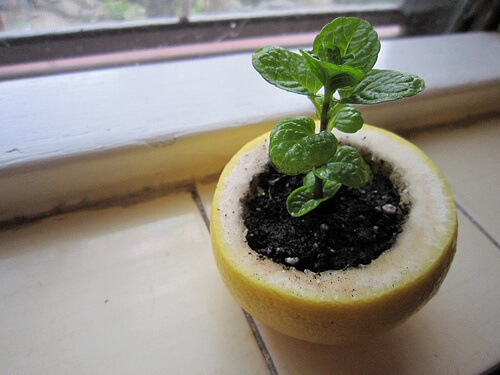 Enter these 11 gardening hacks that will make your life SO much easier! 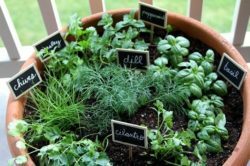 Follow these gardening hacks to have the best, most productive garden of your life! 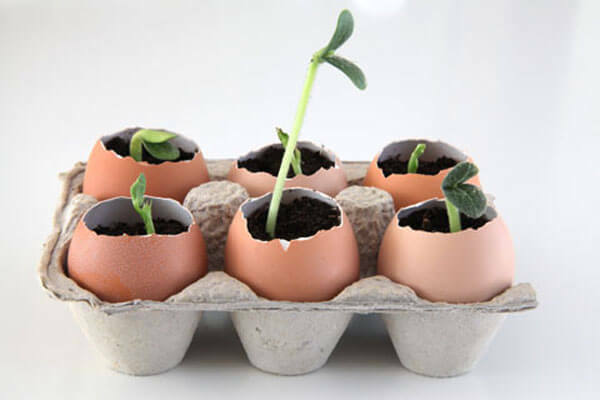 Save those eggshells because they make amazing little homes for your seedlings! Eggshells self compost and also add a dose of calcium to your soil. Plus they’re way better for the environment than those plastic containers! 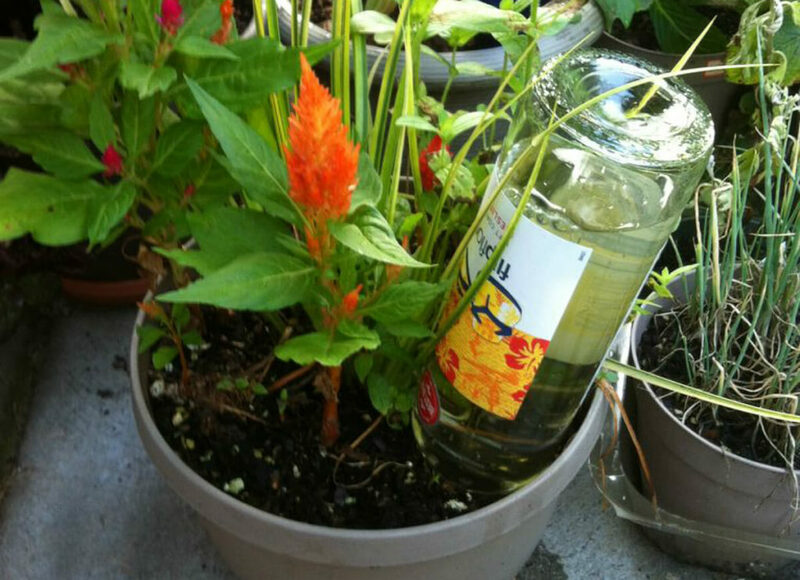 Fill a clean wine bottle with water and turn it upside down in your garden or pot. Perfect for hot, summer days, the wine bottle will slowly trickle down water into parched soil. 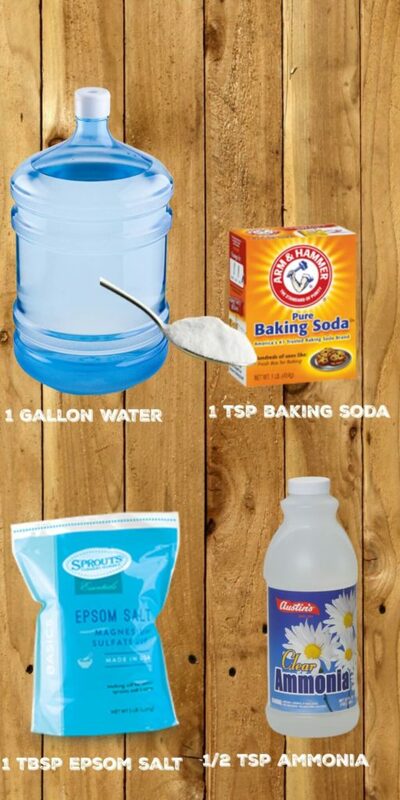 Doing this will help keep all your water from draining and will save you a watery mess! 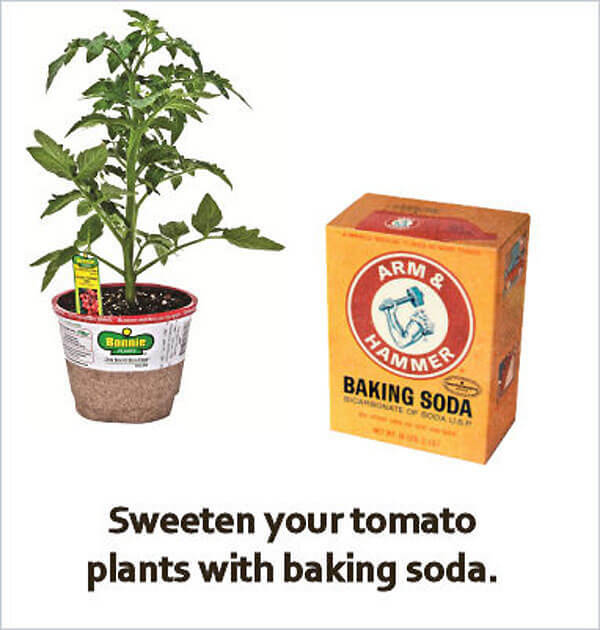 Did you know that sprinkling baking soda onto your tomatoes’ soil will make them taste sweeter? It’s true! Simply sprinkle a bit of baking soda onto the soil about once a week and reap the rewards! Instead of wasting money on expensive seed tape, make your own! 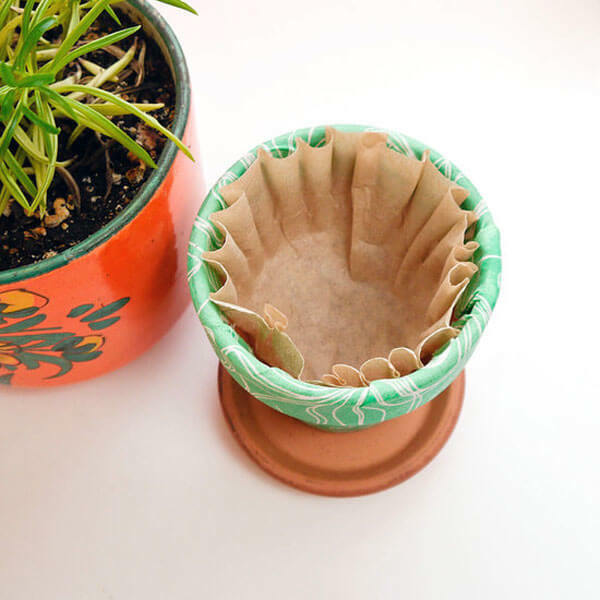 Use toilet paper instead of seed tape to cut down on cost! If you just can’t wait to get those plants in the ground before frost risk is over, milk jugs are here to save the day! 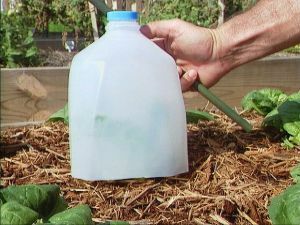 Simply cut off the bottom of a milk jug, and place it over your seedlings. This will protect them from frost and insects. 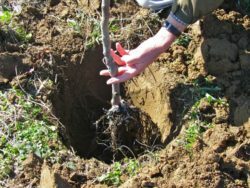 Save yourself a lot of money by making your very own fertilizer. 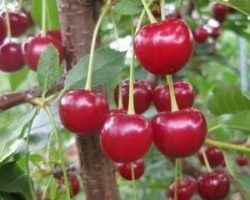 Learn more on how to make your own miracle grow. Seedlings grow faster and healthier when they’re given proper nutrition! Scoop the flesh out of an orange, lime, or lemon (don’t waste, consume the flesh! 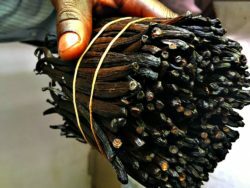 ), and plant your seedlings in the peels. 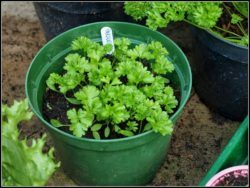 Your seedlings will love the vitamins and minerals they’ll receive! It may look strange, but this actually works! 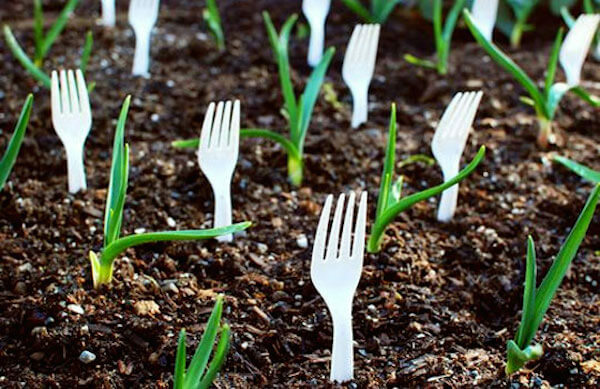 Stick plastic forks into the soil next to your plants to prevent pests and animals (such as rabbits) from even entering your garden! 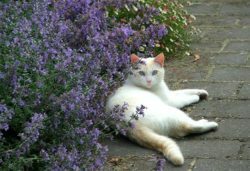 Add Epsom salts to your garden to increase absorption of nutrients. This will also help with seed germination! Although not a hack, this idea is SO fun! You can actually purchase molds that will allow you to grow star or heart shaped tomatoes, cucumbers, or other small to medium sized vegetables! 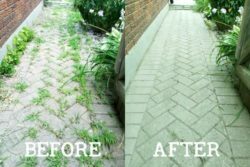 11 Gardening Hacks You Need to Know Right Now was last modified: June 21st, 2018 by Aniela M.